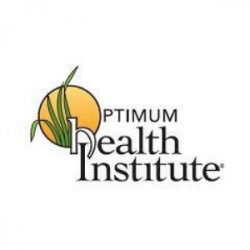 Optimum Health Institute (OHI) is a healing ministry of the Free Sacred Trinity Church, which promotes healing through the use of non-medical, all-natural, holistic healing practices. As a healing ministry, it provides 2 holistic healing centers in central Texas and southern California. People of all spiritual traditions are welcome at OHI Austin or OHI San Diego to participate in our holistic healing program that emphasizes physical, mental, emotional, and spiritual well-being. We believe that God created humans as holistic beings with an integrated body, mind, and spirit. We believe we can achieve optimum health when the body is purified, the mind is quieted, and the spirit is renewed. From that place of total integration and wholeness, people are then able to strengthen their connection to God, and are transformed to receive optimum health.